← Book Purism vs. Digital Material: A Sentimental or Genuine Battle? 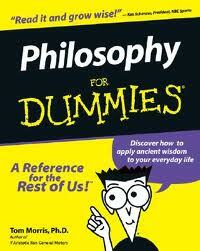 Perhaps one can’t learn philosophy, but one can “learn to think philosophically”. That was, for me, the most important takeaway quote from Jostein Gaarder’s most excellent novel, Sophie’s World, which I have advertised for countless times on this blog. It’s worth repeating, because the book’s not just full of fantastic story-telling, it’s also an excellent source of review material. Whether you know nothing about the history of Western philosophical thought, or are an expert and want a fresh new perspective on it, this book is for you. How would you answer that question? With your name? A description of yourself and your place in this physical, often (if you’re lucky) mundane visible reality? Sophie begins to wonder, and thus begins her true intellectual growth. 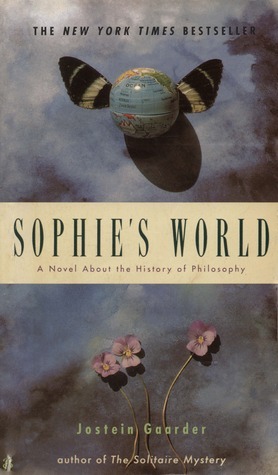 The book traces (by means of a mysterious correspondence course between Sophie and her teacher) the history of philosophy from the ancient Greeks up to the Existentialists. Unpretentious, ponderous, increasingly foreboding, this story will draw you in, shake you out of the comforting folds of your mental armchair, and make you puzzle why philosophy, for all its intellectual vigor and glorious history, now seems to play such a small part in our day-to-day life. You’ll probably notice that you do quite a bit of philosophizing on your own time (or did, until you squashed out that childlike curiosity about the nature of reality by giving in the hum-drum ephemeral bustle of living your “grownup” life). If you’ve ever wondered how you can be a good person, how you can find happiness, or even what will happen to you after you die, you have thought philosophically. It doesn’t mean you walked around absentmindedly in a coat with elbow patches and a pipe; it means you have pondered (however briefly or tentatively) on the nature of the human condition. That’s right, the Philosophy for Dummies book, written by Tom Morris, is actually a really enjoyable introduction to the subject. Full of wit, humor, facts, and quite a bit of kindness, particularly towards those quaking with fear in view of fast-approaching nihilism, I highly recommend it. But intriguing schools of philosophy are often thought up by equally intriguing men. Did philosophers really put their money where their mouth was? Socrates famously said, “The unexamined life is not worth living”. What, then, does an “examined life” look like? My read of the week. 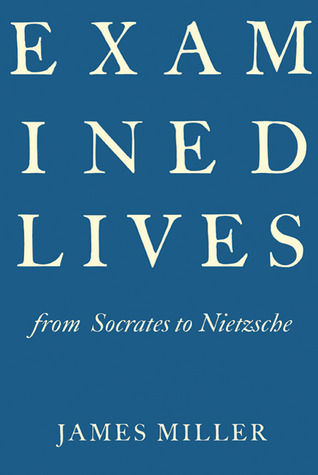 In Examined Lives, Miller presents brief biographies, personal anecdotes, and philosophical sound bites of Socrates, Plato, Diogenes, Aristotle, Seneca, Augustine, Montaigne, Descartes, Rousseau, Kant, Emerson, and Nietzsche. I’ve only just begun the section on Plato, but I love Miller’s conversational style, and he really brings to life these demigods of philosophy. It’s a good time to think deep. Put down that newspaper (or e-reader) filled with political shenanigans and the clamor of contemporary life, take a deep breath, and you may feel those quieter, unsettling questions take you in unexpected directions. I’ve been a silent reader for some time now and I would just like to tell you what an excellent job you’re doing with this blog. I’m seriously going to go to my local bookstore tomorrow to grab a copy of Sophie’s World. Thanks for reading! I hope you enjoy the book!